TPO & PVC roofing are commonly used in commercial roofing. TPO means Thermoplastic Polyolefin. It is considered a rubber roofing material. PVC is Polyvinyl Chloride and is produced via a process called polymerization. TPO is probably the most popular roofing method used today for a few reasons. 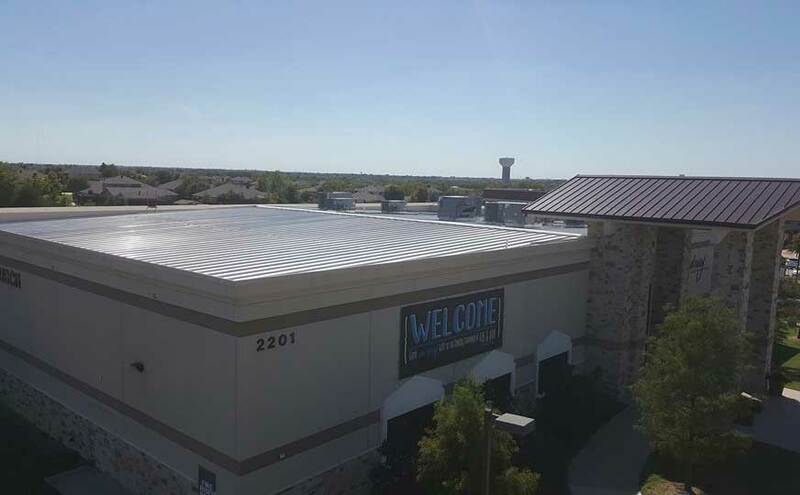 Below are some of the differences between TPO and PVC roofing for flat roof commercial buildings. TPO and PVC membranes are practically seamless. This gives the rooftop a clean, smooth look. In large cities, where the tops of rooftops are visible, this can be an added aesthetic benefit. Unlike gravel or asphalt roofs, flat membrane roofing is easier to patch because the leak is more visible. Due to the white color of membrane roofs, light reflects off the roof. This keeps the building cooler and saves on energy costs. PVC and TPO are similar in the way they reflect light. PVC was the predecessor to TPO. So, when TPO came onto the market if offered flexibility and water resistance that in some cases, beat out PVC. Still, PVC remains popular with roofers and business owners. When it comes to weathering, TPO has better resistance. Although when it comes to chemical resistance, PVC has better chemical resistance. So, for businesses like restaurants with grease traps on their roof, PVC can withstand the exposure. Lastly, PVC roofing membrane is slightly more flexible than TPO. Flex PVC tends to be easier to install due to this characteristic. Although both membranes can be welded, TPO requires higher temperatures. SPC Construction and Roofing has working experience with TPO and PVC roofing. From TPO replacement to PVC roof repair, we’ll be able to advise on what the best material is for your next roof.